The house is a simple bar conceptually and literally broken into 3 use defined areas; i.e. 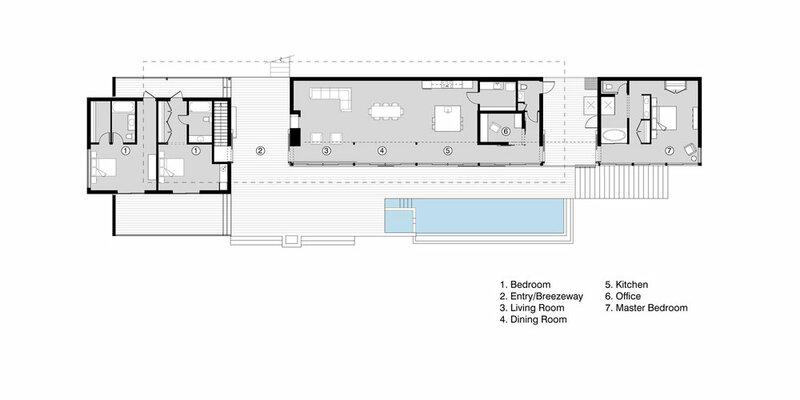 guest wing, public/fraternal spaces, master bedroom. A metal roof hovers above these 3 parts to encourage circulation movement from one space to another. 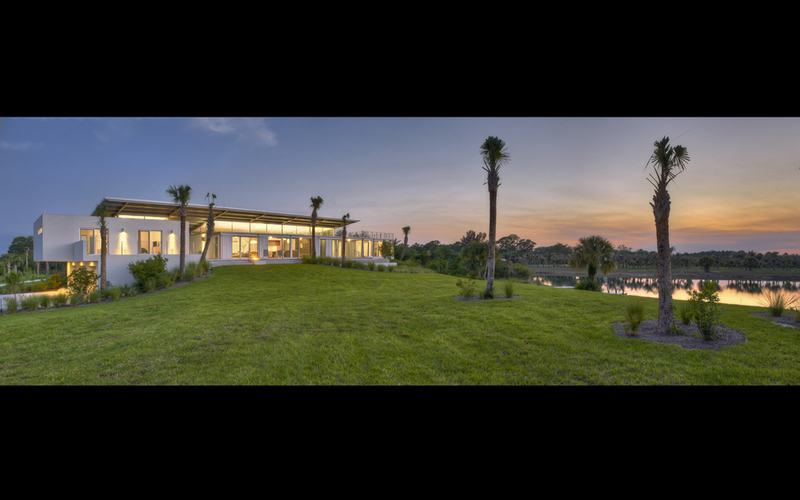 The roof design also provides shade to the lakeside terrace adjacent to the lap pool, while simultaneously capturing and directing the water-cooled breezes through the upper transom windows of the living space. This "free" and passive conditioning reduces the use of mechanically driven conditioning. Rain collection from the valley of the roof is directed to an underground reservoir to be used for irrigating the native-planted landscape. 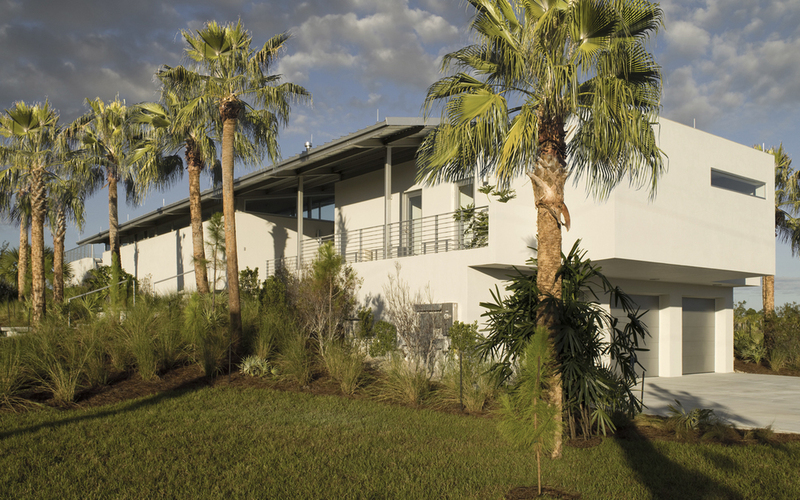 Maximizing the covered spaces between the wings, exterior fireplaces on one side and an exterior shower off the master bedroom take full advantage of the Florida climate. Materially modest components such as corrugated roof SIP panels, concrete floor, Stucco over insulated concrete form blocks, board form concrete wall finish, aluminum clad windows, cloth roll down shades make for simple and lean construction: a suitable response to the client’s request for a dramatic, humble, inexpensive, low maintenance, yet inspired shelter.